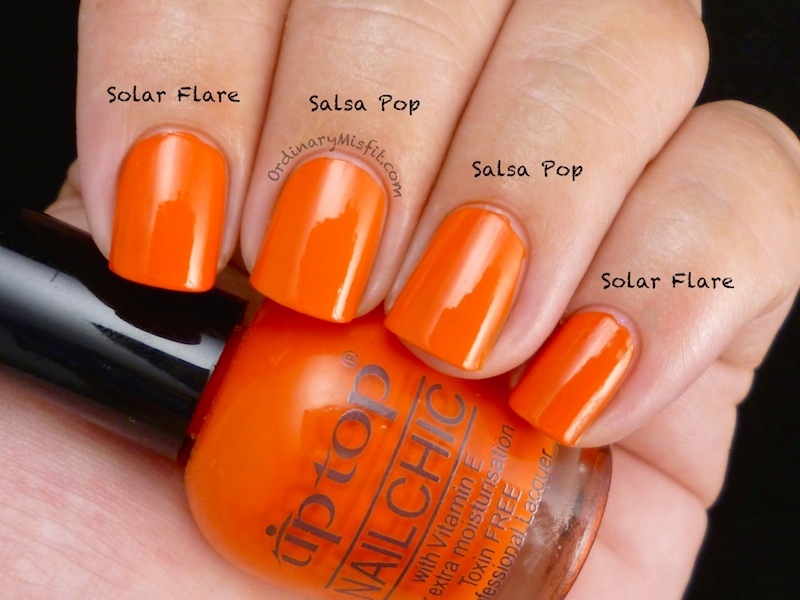 This is two coats each of Solar Flare and Salsa Pop, both with no topcoat. In real life there is a slight difference initially but as it dries that difference becomes less and less obvious. I don’t know about you but I can’t see much of a difference between these two here. Both are gorgeous bright oranges with great formula. In my opinion, you don’t need both. They are similar enough for me to consider them dupes. What do you think? Do you have one or both of these? Do you agree with me? If you have any polishes you would like to see compared please let me know. I really enjoy doing these and I have a few more requests coming up soon.